Sony has always mixed fashion, art, and technology with their products.Â The reason why I love Sony laptops is because they are gadget candies and youâ€™d feel proud carrying one.Â Not only do Sony produce laptops with all the eye-Candy designs, their laptops also ooze the right quality youâ€™d need for a computer and thus, emphasizing the Prestige it gives to us â€“ where performance is always in mind. I also like the fact that Sony is also committed to producing more products that are eco-friendly.Â As much as possible, they make their operations and production less harmful to the environment as possible. The setting of the event was perfect for an intimate discussion where you can choose to go around and tinker around the products being launched.Â I had my hands busy testing some of the products on display and you can never go wrong with speed.Â I also love that most of the products are light-weight, which is very attractive to me, since I hate carrying heavy laptops. As Sony Philippines unveils its new line-up of VAIO models, the global brand is doing more than simply broadening the options available to Filipino customers. It is defining a new standard for selecting oneâ€™s PC â€“ one that values a personal encounter with uncompromising quality and premiumness, and an intimate understanding of who you are and what your needs may be. High Fashion Meets High-Powered 3D Gaming and Multimedia Entertainment. 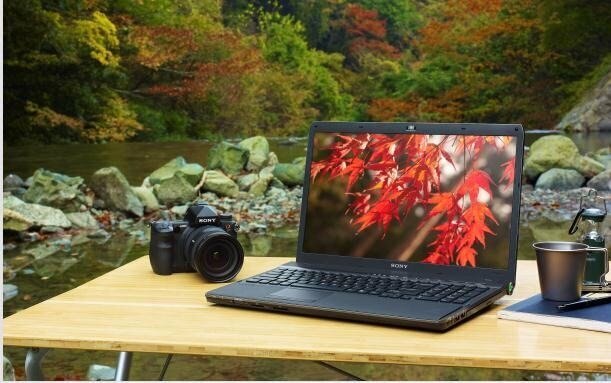 The newest version of VAIO CW Series features new Intel Core i5 / Intel Core i3 CPUâ€™s and the new generation of powerful NVIDIA GeForce graphics.Â It allows easier photo and video-editing and better 3D gaming experience. It is also available in 5 glossy colors. I would want this model especially that I travel a lot!Â Weighing just 2kg, the VAIO S Series is designed to be your perfect partner whenever and wherever you use it. 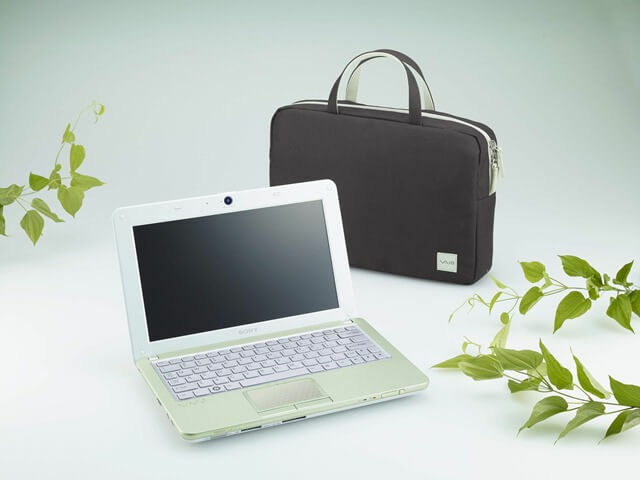 It features an innovative backlit keyboard which is very useful for travelers.Â It is equipped with Intel Core i5 CPU to handle multiple tasks efficiently.Â It also has NVIDIA GeForce 310M GPU with 512MB of dedicated video memory supporting CUDA technology to run video and graphics smoothly. Full Definition at your Command. F Series is one of the interesting new models Sony shared to us.Â This series is one of my favorites and it would be perfect for my cousin who is into multimedia arts.Â This series is perfect for those who do a lot of Photo and Video editing.Â I held this unit myself and as big as it looks in real life, it still is light enough!Â Lighter than my 15â€ laptop now!Â For its specs, you canâ€™t go wrong even with itâ€™s price and it includes Blu-ray Disc! The VAIO F Series is the ultimate Full HD studio, offering comprehensive entertainment and multimedia solutions ranging from professional-grade Full HD video and RAW image editing to Blu-ray Disc playback and 3D gaming.Â It is equiped with Intel Core i7 (quad core) (WOW!) processor which enables effective parallel processing and ensuring faster processing speeds even when multitasking. It also incorporates the latest Dolby Home Theatre v3 sound system and you could just imagine clearer sound for your cinematic experience.Â The Blu-ray Disc Combo on the VPCF116FG bring the F Series to the top of the industry, delivering the smooth, cinematic playback of Full HD movies. Ideal for movie playback and multimedia editing, the VAIO F features the top-of-the-line NVIDIA GeForce GT 330M graphics chip with CUDA technology and 1GB DDR3 video memory, maximising your entertainment experience with Full HD movie playback, detail-rich graphics and high-resolution 3D gaming. Its superior processing power and graphics performance also cater to professional video editing needs, enabling you to edit files ranging from Full HD video captured with a Handycam to RAW files from your Alpha DSLR camera. 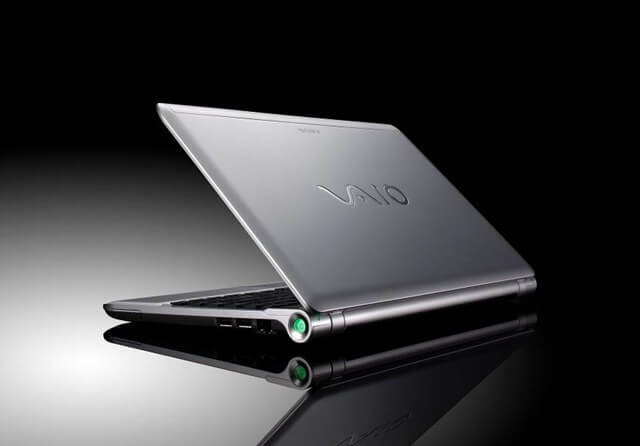 The energy efficient VAIO F Series also features a light sensor that automatically adjusts screen illumination to conserve power in dim conditions. Showing compassion for Mother Earth â€“ Sony Viao goes green. This series is a winner in FlairCandyâ€™s heart.Â You know how green minded I am and how I love the environment.Â Going green is one of Flair Candyâ€™s personal advocacies.Â Anyway, I really appreciate the initiative of Sony to start considering the environment in their operations. Sony Philippines unveils the new VAIO W Series, which features a number of environmentally friendly elements in its design, production and packaging.Â The VAIO Wâ€™s top cover, palm rest, and bottom cover contains approximately 20% reprocessed plastic made from DVD and CD waste. By using the recycled plastic parts, carbon dioxide emissions within the production process are reduced by approximately 10% compared to using regular plastic. This series isnâ€™t pricey as well!Â Another winner points go to the packaging of this model.Â You will receive this notebook in a carrying bag instead of the traditional cardboard box packaging.Â The unique styling (as you can see in the pictures) are very eco-friendly as the brown exterior fabric is made from 100% recycled plastic bottles (PET) material. Superb Mobility for Both Work and Play. 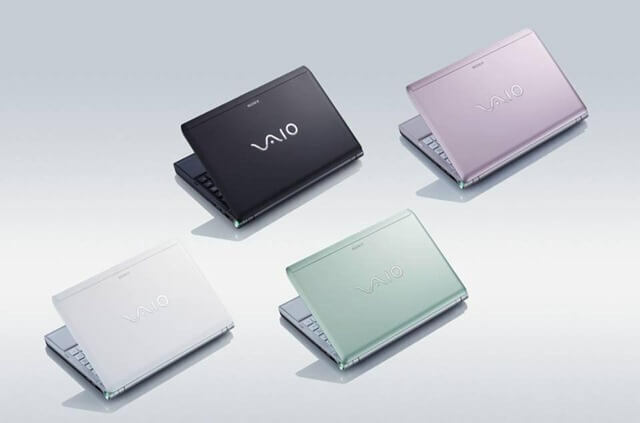 VAIO Y Seriesâ€™ sleek and compact body has plenty of power with its standard bundled battery that is designed to last 6 hours, while its optional L battery can last up to 9 hours, allowing you to use the new VAIO through a full working day, plus some extra private time. An ideal mobile PC, it merely weighs 1.77kg, while the AC adapter weighs just 0.2kg. 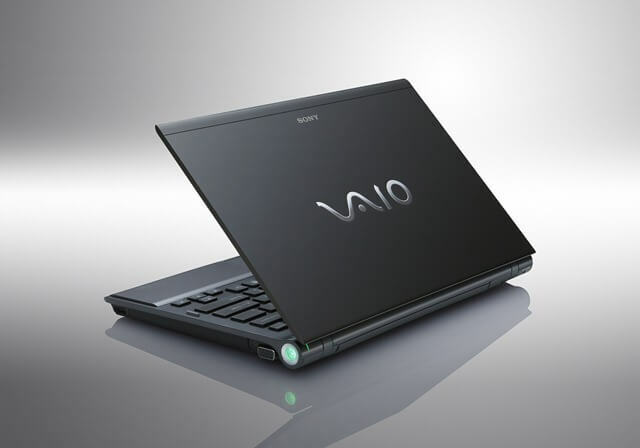 Furthermore, the VAIO Y Series provides a range of powerful features, such as a 13.3-inch wide WXGA LCD display with LED backlight for a clear detailed view of documents and photos, WLAN/Bluetooth for wireless connectivity, a webcam for a video conferencing and HDMI output for connecting to a large screen TV.Â Daily multimedia tasks such as making of reports, taking notes, blogging or catching up on important assignment are so easy as the new VAIO Y is equipped with Intel Core 2 Duo Processor SU7300 (1.30 GHz) and 320GB of 2.5-inch HDD, and pre-installed with Windows 7 operating system. Usability Enriched by Prominent Technology. Ah yesâ€¦ the price looks very alarming!Â Before you turn your heads away, take a look at what this series has to offer. Despite the slimness of the VAIO Z, it is equipped with powerful CPU and SSD, which makes its performance almost equal to a desktop PC. Tough and challenging tasks will be no more with Intelâ€™s latest and top-of-the-line Coreâ„¢ i5 CPU incorporated in the VAIO Z. Making sure that no time will be lost, VAIO Z is now outfitted with SSD (solid-state drive) which performs significantly faster than the conventional HDD (hard disk drive), making transferring of data easy and quick. More Specs about the Sony Viao Z here. where was this in the Fort?